Manchester United thrive on proving people wrong and so too, increasingly, does Victor Lindelof. Known as the Ice Man, the young Swede endured a difficult start to his United career and question marks were raised over the credibility of Jose Mourinho’s £31 million signing. In today’s modern era where judgements are made and verdicts passed far too quickly on a player, it seemed as if Lindelof would forever be tarnished with the memories of his disastrous debut across the Pennines at Huddersfield. After he came on as a substitute, everything that could have gone wrong did go wrong as Lindelof looked like a scared rabbit in the headlights during United’s infamous defeat at the John Smith’s Stadium. Many had already consigned him to the proverbial scrap heap but, a year on from that desperate nadir, Lindelof is outperforming every one of his central defensive cohorts. Improbably, he’s gone from liability to a certain starter and one of the first names on the team sheet. You get the feeling that this is his coming of age season. 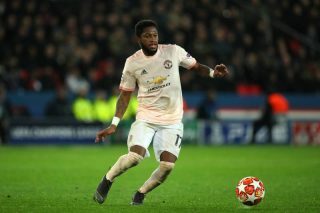 There were signs at the end of the 2017-18 season that he was starting to grasp exactly what it takes to become a success in the red of United. After a consistently strong World Cup in which he helped Sweden to reach the quarter finals – and despite his early season blemish at Brighton – Lindelof has hit an undoubted upward trajectory. 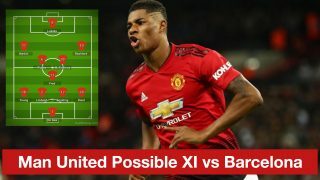 Hopes were high that he and Eric Bailly – both expensive Mourinho additions – would prove to be the fire-and-ice players that the Reds have been missing since the departures of totemic figureheads Rio Ferdinand and Nemanja Vidic. Since that bleak day on the south coast in which no United player covered himself in glory, the two have experienced vastly contrasting fortunes. Bailly has fallen foul of his manager and – ostracised and alienated – cannot get a look in. Lindelof, meanwhile, has continued to reap the rewards of a consistent run in the team and has gone from strength. He’s improving and growing into his role as a Manchester United centre back by the week. 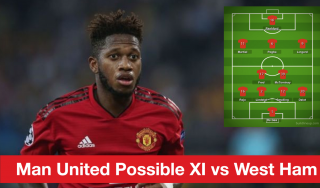 For all the furore over further defensive recruitment over the summer, so much has the Swede improved that maybe United now only need one new centre back instead of two. Mourinho’s recruitment during his Old Trafford tenure has been questionable at best, but Lindelof is beginning to justify his hefty price tag. 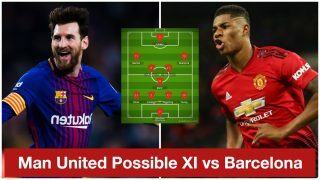 Where Romelu Lukaku, Nemanja Matic and Alexis Sanchez have largely flattered to deceive since they were brought to the club by the boss, Lindelof – despite his inauspicious start to life at the club – has shone. 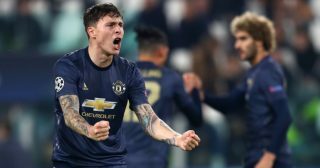 Man of the match in the home game with Juve, Lindelof was again a contender for man of the match in the reverse fixture at the Allianz Stadium, where he enjoyed a calm, composed and confident game at the heart of a solid and organised defence. Chris Smalling – only four years his senior but a relative veteran of over 300 games – struggled again. Lindelof still has the odd mistake in him (which player doesn’t) and could have arguably reacted quicker to Leonardo Bonucci’s ball forwards that led to the opener, but he reads situations well, is deceptively quick and no slouch on the ball. Having faced Ronnie and co twice in as many weeks, he’s acquitted himself well in both games. 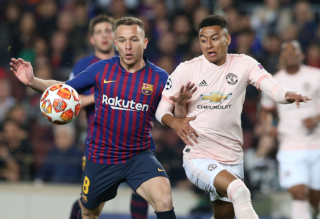 Visibly brimming with confidence, he did little wrong and stood out as one of our best players in an eye-catching all round display. Since the 3-1 defeat at West Ham in September, there have been signs of improvement for Mourinho and Man Utd. The epitome of that is Lindelof’s resurgence.